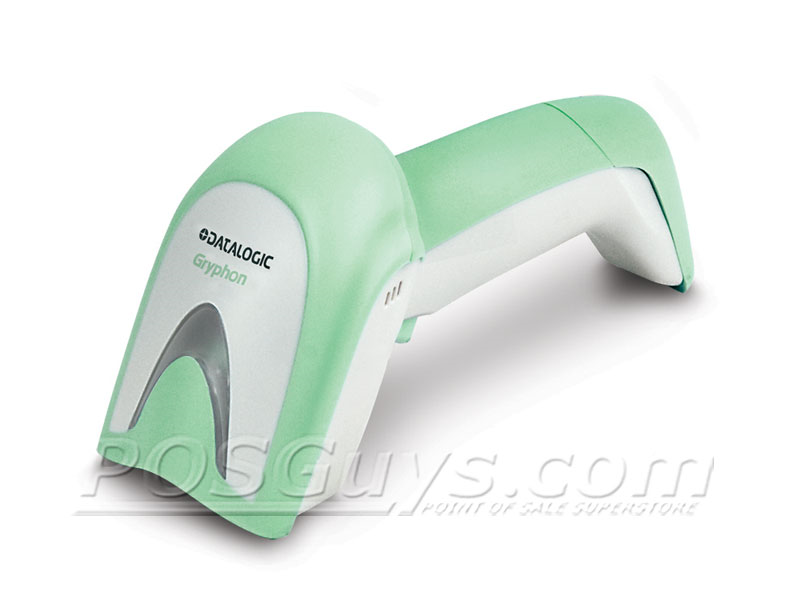 The Datalogic Gryphon I GD4400 barcode scanner series offer affordable 2D scanning for any retail location. Datalogic built the Gryphon I GD4400 with ease of use in mind, using a 4-dot aimer with center cross system to identify the optimal scanning area. Datalogic's Green Spot technology illuminates the barcode after a successful scan, providing a visual cue when audible cues can't or shouldn't be heard. 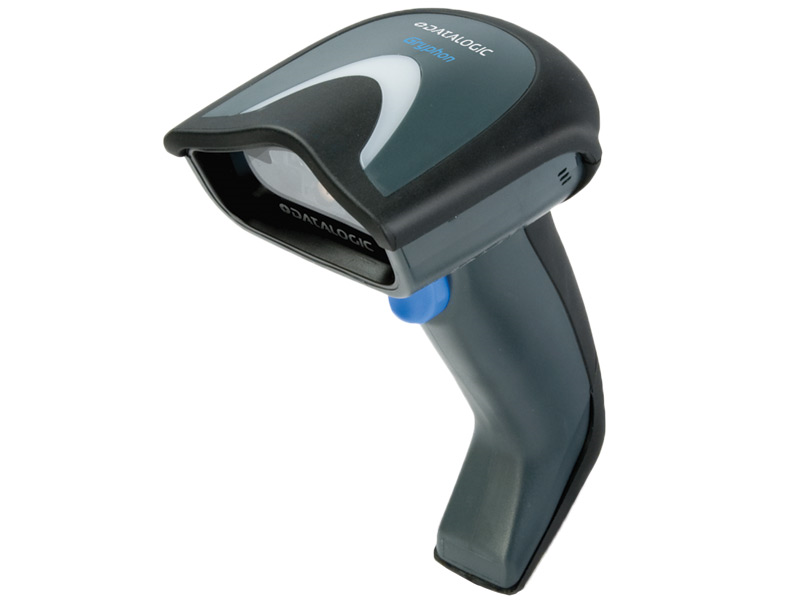 For standard retail scanning, the Gryphon I GD4400 can read UPC barcodes from up to 15.7" inches away, minimizing the frustration of finding the "sweet spot." The scan engine sports a motion tolerance of 25 inches per second and scan rate of 100 scans per second, keeping up with medium to high volume retail scanning. The Gryphon I GD4400 features durability that will keep it running strong for quite some time. The reinforced body can withstand drops of 5.9 feet to concrete, and the body is sealed to meet IP52 standards, protecting your investment from harsher environments such as garden centers or lumber yards. For healthcare applications, Datalogic offers a model built with a special green and white antimicrobial housing. The housing is designed to withstand chemical cleaning agents without becoming brittle or pitting, keeping bacteria & pathogens at bay. Each scanner comes with a great 5-year warranty, making the Datalogic Gryphon I GD4400 barcode scanner a smart investment for future-proofing your business. How do I change the volume of my scanner? 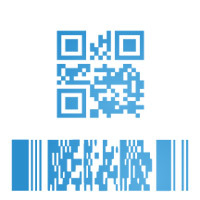 Most scanners have a volume option that can be changed by scanning configuration barcodes from one of the product manuals or by using a configuration utility. Some scanners will even have separate settings for the different kinds of beeps and even some customizable tones. In the user manual or configuration guide, the configuration barcodes for beep tone, length, and volume are usually located under the "User Preferences" or "Scanner Options" section. Some basic settings may even be on the quick start guide. Find it faster! 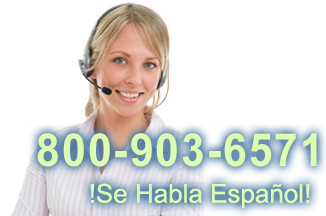 Click here to compare Gryphon I GD4400 models by feature.